CINEMATIC highlights from the past year as well as a rare chance to see one of the all-time classics will feature in the Yvonne Arnaud Theatre’s Summer Film Season. 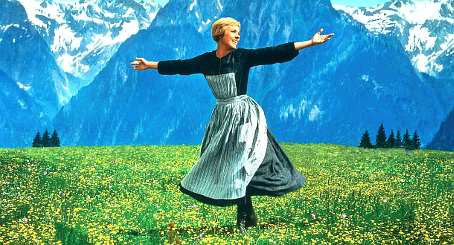 It runs from Monday, August 17 until Saturday, August 29, and to kick-off its 50th Anniversary celebrations, the Guildford theatre will screen the ultimate family-favourite musical film, The Sound of Music (Saturday, August 22 at 1.30pm). It was the biggest film from 1965 (the year in which Guildford’s Yvonne Arnaud Theatre started up) and it stars Julie Andrews as Maria. Other films include an adaptation of Thomas Hardy’s literary classic, Far From the Madding Crowd (Monday, August 17 at 5.30pm and Tuesday, August 18 at 5.30pm) and Louise Osmond’s documentary Dark Horse (Monday, August 17 at 8pm), the true story of a group of friends from a working men’s club who take on the elite ‘sport of kings’ and breed themselves a racehorse. Olivia Colman, Anna Hale, Anita Dobson and Tom Hardy star in London Road (Tuesday, August 18 at 8pm and Wednesday, August 19 at 3pm), based on the National Theatre’s musical, which documents events that shook Suffolk in 2006. Helen Mirren stars in Woman in Gold (Wednesday, August 19 at 8pm and Thursday, August 20 at 5.30pm), the true story of one woman’s journey to retrieve family possessions seized by the Nazis. Still Alice (Thursday, August 20 at 8pm) sees Julianne Moore star as Alice Howland, a happily married mother of three grown children and prominent linguistics professor, who begins to forget words. The programme also includes The Theory of Everything (Saturday, August 22 at 6pm), Spooks: The Greater Good (Saturday, August 22 at 8.30pm), Amy (Thursday, August 27 at 5.30pm and Friday, August 28 at 3pm), Cloud of Sils Maria (Saturday, August 29 at 5.30pm), plus A Royal Night Out, Rose-water, The Second Best Exotic Marigold Hotel, A Little Chaos, Mr Holmes, The Age of Adaline, The Falling, Danny Collins and Whiplash. FOR the full Film Season schedule go online to www.yvonne-arnaud.co.uk.